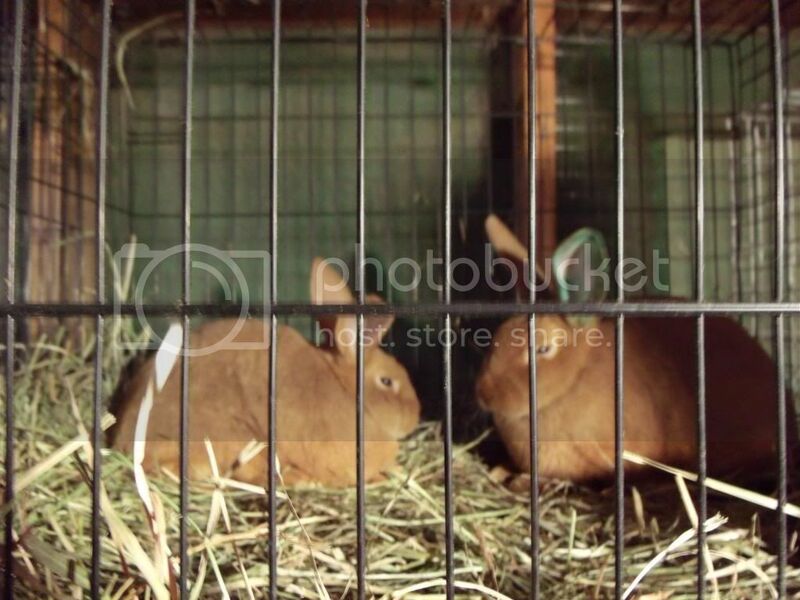 So DH and I drove down to the Willamette Valley on Friday as part of an early anniversary getaway and to pick up our new purebred pedigreed breeding stock of New Zealand Red rabbits. We drove back on Saturday. It was nice to get away, the weather was beautiful on Friday, but we hit a snowstorm on the last leg of the trek home on Saturday. We had a great time, though, and even though he won't be home for our actual anniversary (our 19th) on the 18th, we still feel like we got to celebrate. We had a nice steak dinner out. 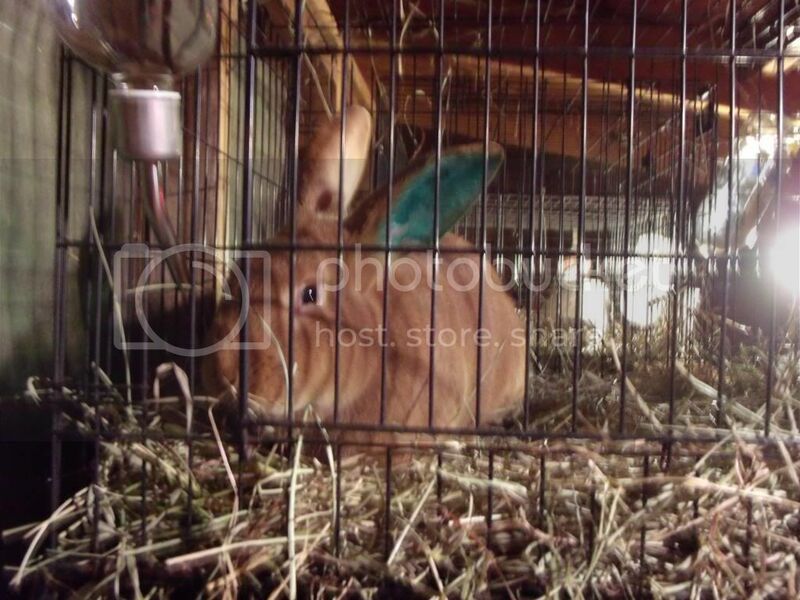 They are very sweet, gentle-tempered rabbits. No biters or scratchers in this lot. DH and I made an agreement when we did this last big Disney trip and paid for his sister and nieces to go, that we wouldn't take another big vacation until 2018 when both kids will have graduated from high school and we are free to go, just the two of us. The plan for 2018 is to go to Hawaii. Meanwhile, we work on all of our other goals. Well, DH has a friend from work who lives in Hawaii who has invited us to come in May. He has a house on the beach and says all we'd need to bring was about $1000 for incidentals and he would take care of everything else. Wow, nice friend. And we'd be able to fly there free with DH's miles. But I still can't see doing it right now. We'd have to leave the kids with my mother, who isn't in the best of health right now and we've got all the rabbits and chickens to take care of. Not to mention that May is the time here to start gardening in earnest. Plus DS is being homeschooled. Yes, it is a tremendous opportunity, but it doesn't fit into any of our plans. DH kind of figured as much, but he still couldn't resist telling me about it. It was nice to dream of getting away for a minute or two, but I've got bigger dreams right now and that is what I want to be focused on, with no more distractions. Hawaii can wait. It isn't going anywhere. And maybe his friend will still be there then. I am putting a copy of my Funds totals here in case something goes wrong transferring stuff between laptops. This is the first time in my life I've ever had so much money saved up. Almost $14K and it will be over that by month's end. After our next mortgage payment on Friday we will have more money in the Emergency Fund than we owe on the mortgage. That feels incredible.